[Updates: November 18, 2012 – the application for an investigative license for ocean power in whale critical habitat has been withdrawn. Please see the media release at this link. November 14, 2012 – To our surprise, the deadline to provide comment regarding the land tenure has been extended, it is now also December 2nd. 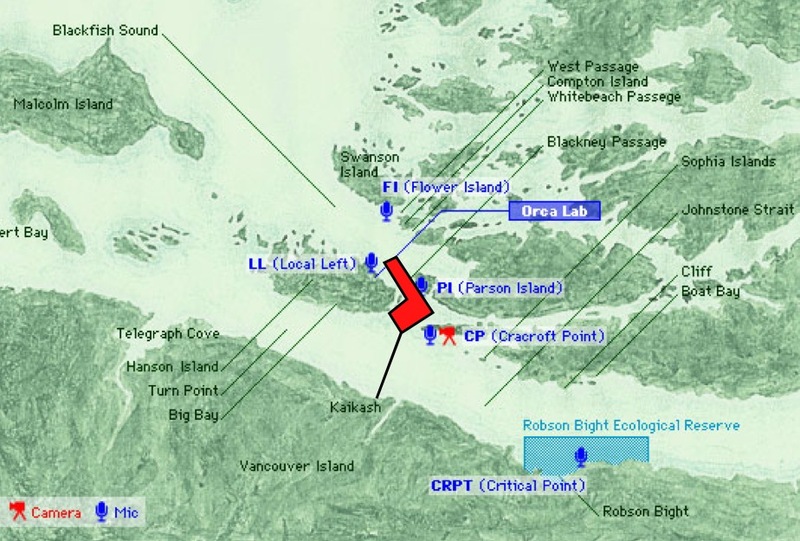 Blackney Pass off Johnstone Strait is an epicentre of whale activity and there is an application for an “Investigative License of Occupation – Ocean Power ” for this very area. Yep, that’s right . . . an application for “actual installment of technical investigative and monitoring equipment” that could lead to turbines being in critical whale habitat. The proponent is SRM Projects Ltd of Nanaimo, B.C. The deadline for your two quick submissions is December 2nd. Below, I have strived to make commenting very expeditious for you, but first, a bit more on how preposterous the application is, just to fuel you up for those comments. Here is the map showing the area for the “license of occupation“. Source: Application for OCEAN ENERGY/INVESTIGATIVE AND MONITORING by SRM Projects Ltd of Nanaimo, B.C. Click image to enlarge. 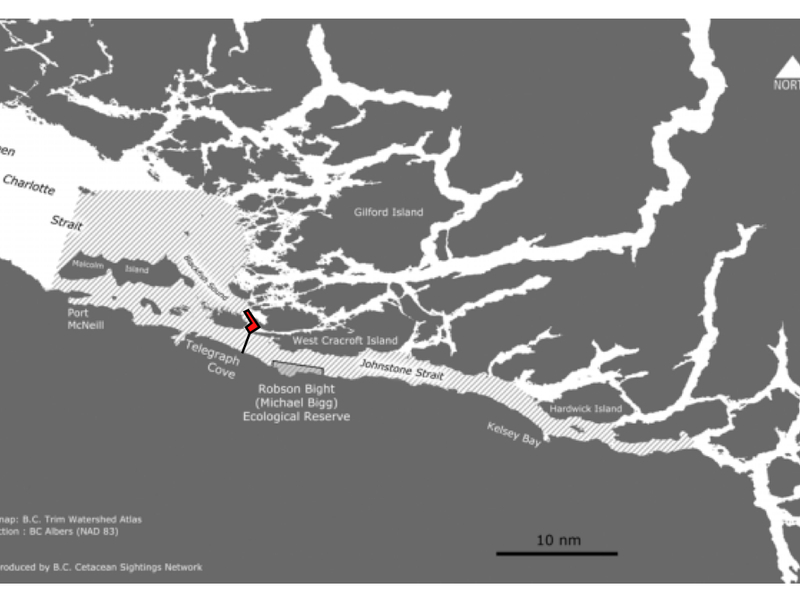 Proposed site (red) relative to acknowledged northern resident killer whale critical habitat (cross hatched area). Source Amended Recovery Strategy for Northern and Southern Resident Killer Whales in Canada. Click image to enlarge. The very ocean current that makes this area of interest for staking a claim for ocean energy is what makes this such a rich area for marine life. Multiple currents collide causing a merry-go-round in which plankton and fish are concentrated. The threatened northern resident killer whales feed here with great regularity, as do members of the threatened population of humpback whales, Steller sea lions, Dall’s porpoise, etc. The importance of this area for killer whales can be supported by almost 4 decades of data collected by Department of Fisheries and Oceans and the OrcaLab. More recently, with regard to the humpbacks, I and my fellow researchers from the Marine Education and Research Society, can testify to how often these giants are in this area. But it is the whales that speak with the most convincing voices of all. Here is the OrcaLab’s September 16th, 2012 visual and acoustic recording of the I15 and A30 matrilines of northern resident killer whales in the very area “in question”. For researchers, whale watchers and on-line followers of the OrcaLab’s monitoring of whales, we all know that this kind of activity is not exceptional in this area and we know what is at stake. As final stark evidence of how often there are whales in this area, note where, of all the places the OrcaLab could have put their whale-monitoring cameras and hydrophones, they are positioned. Then again, note the location of the proposed ocean power project. Proposed site (red) relative to positions of the OrcaLab, and their hydrophones and cameras. Testimony to just how often there are whales here. Click image to enlarge. One would hope that government agencies would surely deny this application but . . . we have so many recent examples of this being tragically misplaced faith and we cannot count on there being any legislation in place for sound environmental assessment that would confirm environmental impacts. May I point out again that the government had to be taken to court TWICE to be order to acknowledge and protect killer whale critical habitat?! Therefore, we collectively need to make our “Hell No!” heard now. Essential action needed by December 2nd – submission to two government agencies. By December 2nd, regarding the license of occupation, click this link and email your comment to Forests, Lands and Natural Resources Operations. You could use the same text as you did for the above. If you can, come to the Port McNeill “community information session” given by the proponent, SRM Projects Ltd of Nanaimo, on November 20th in Room 4 of the Old School from 6:30 to 7:45 PM. There will also be an information session in Campbell River on November 22nd but this will focus on SRM’s proposals for the Discovery Passage and Seymour Narrows. It will be in the Rivercorp Boardroom, 900 Alder Street from 7:00 to 8:30 PM. With this application being so ludicrous, I can’t help but wonder if I am missing something. Is this just part of a staking frenzy or is it some sort of distractor so that attention is taken away from something else? SRM LTD’s projects are listed here. Again, reductions to our voracious fossil fuel consumption are very much needed but, at the cost of having turbines in whale critical habitat? Unequivocally – no. So much insanity . . . so little time. Sigh. Huge gratitude and respect to Angela Smith for being the one to take note of the notification of this application and to Leah Robinson for ensuring I had many of the details I needed for this blog. This posting on my FaceBook page has had success in creating further awareness. Feel free to share! Whale on right is Tsitika (A30). She is 65 years old. She loves Chinook salmon and is always within calling range of her sons, daughters and grand-calves. Most often, as is the case here, she is right beside her eldest surviving son, Blackney (A38) who is 42. Tsitka has lived through the human impacts of being shot at when that was our way; our use of toxins that bioaccumulate in the flesh of her kind reducing their immunity and ability to reproduce; our practices that have reduced the availability of salmon and . . . the noise! The next assault – turbines in the very area where her family most often fishes? The same area that is the namesake of her son i.e. “Blackney Pass” and where this photo was taken? The area that is designated as critical habitat for her population? Thank heaven for you Jackie. Your efforts to bring balance to the force are so greatly appreciated! Wouldn’t have known about this had it not been for you Ang! Angela, Thanks for initiating the effort.. Please keep in touch. Thanks so much for all you do Jackie! Thanks for creating the means to comment and protest this project. I will certainly share your blog and it’s important information. Thank you Jackie for all your efforts and bringing this to our attention. I will be sharing your blog with all my fellow divers who love our B.C. coast as much as you do. Corrected and so, so appreciated !!!! Well done Jackie!!! It couldn’t be said better!! Thank you, thank you! I look forward to sharing this blog far & wide. Being a resident of Puget Sound, Washington state all my life, the welfare of the resident pods of killer whales is of huge concern to me, as well. Many thanks to our friends in Canada for all your efforts in protecting this great species! You have my support, as well! No, no, no! What are they trying to do? Incapacitate all of our beautiful whales? I can’t quite believe what I’m reading. How could companies have such a disregard for something SO incredible – for something they should be proud of?! I will lose all faith in the world if this goes ahead! Thank you Jackie!!! Done. Have shared also. Thanks so OrcaLab also!! Now is the time to take a stand against this stupidity. Keep this area the way it is. Many, many THANKS Jackie! What you’ve done here is fantastic. it is imperative that what you have written gets as wide an audience as possible. We will Tweet, post, email and otherwise encourage everyone to do the same… the 14th is just 3 days away! Thank you all for your outstanding efforts…mine has been sent! Emailed them both…thank you for all you do! Thank you for informing us and giving us a venue to express our disapproval. Already shared on my wall. Thank you! Awesome investigative work! What’s next? I had heard nothing prior to this article. This is a critical area for the resident orcas, thank you for alerting us all, I am hoping that they reconsider. There is mass murder going on within our oceans. We all know we must find alternative power sources but to put the turbines where there is still a good strong population of orcas and other species is a nothing less than eco terrorism. When is the we work with nature not against nature, can we preserve what is left and not kill nor destroy. This is a cry for help for who cannot speak. We live in the UK but six years ago were fortunate enough to see the Orcas in their natural environment off Vancouver Island and it was a sight we will never forget. Anything which would endanger these and other mammals in the area is absolutely unthinkable. Thank you for the action you have taken – keep up the good work. After Living and working in the Blackney Pass area as a tour operator over 3 years, I know this is a foolish undertaking. I am originally from New Zealand, and after spending just one summer in the areas around Blackney Pass as a Sea Kayak guide, I was Blown away by the abundance of life in the area, and 8 year later I still live on Vancouver Island because of this place. There is no room for any industrial set up in this area, it is just insulting to Canada and the world, this is a sacred place for the whales and for everyone, we need to recognize the places we must let be, and this is one of them. If a project like this were to start going ahead, I wouldn’t be suprised if a series of ‘unfortunate accidents’ happened where components were being readied for transport to the site. What are they thinking? this is craziness – sheer lunacy. 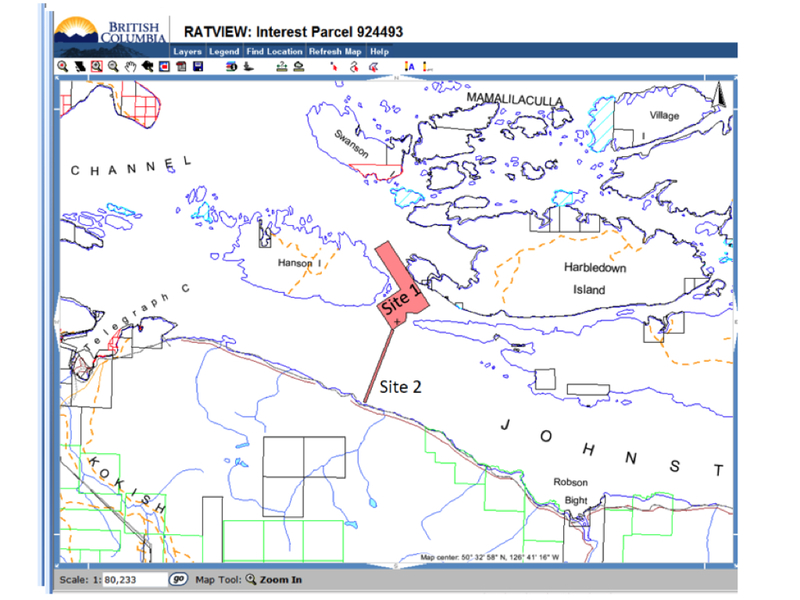 With regard to Land File Number 1412946, the application for SRM Project Ltd’s “Investigative License of Occupation – Ocean Power” in the Blackney Passage / Johnstone Strait area: I write you to express that this application must not be granted. The right project but in the wrong place! Please put whales first. It’s a big ocean and other places have great currents. This is incredible. I can’t believe that this was even an option. Is it not obvious enough that there is a whale research center within view of the proposed turbine location, and countless signs advertising whale watching tours the entire length of the North Island Hwy? There is already massive Wind Turbine project underway in Cape Scott, how much energy does the North Island need? I have to wonder where all this new energy will be going. I also wonder what kind of turbines these are? I could not find any detailed information on this project as far as turbine design. Any links? Thanks to everyone for their efforts!! OrcaLab has tried / is trying to get specifics on the turbines but it sounds like the company doesn’t know exactly themselves at this stage. They would be subcontracting the work and the technology is evolving. Me thinks the energy is not for NVI . . . it’s an export. Are you able to make the November 20th meeting? I so sadly have to be in Vancouver for salmon related work. Totally unbelievable, thank goodness for people like you who highlight these issues, to think this has the possibility of happening is scary. Be assured your concerns are being heard and taken very seriously. Please take a moment to read our comments and consider our thoughts below. We regret that the tidal energy investigative license application has upset so many of you. We also regret that to date no one has elected to call SRM Projects directly to have a dialogue about the proposed investigative activities. Our policy is to be transparent with all our initiatives and we will not undertake projects that create known environmental impacts or endanger any species. To be clear, we are not proposing to install any tidal energy turbines in Blackney Passage at this time. The application is for investigative activities only, which would include assessing not only the tidal energy resource but the environmental, cultural, commercial and recreational values of the site. Engagement of First Nations, community, government authorities having jurisdiction and other NGO’s is part of that process, which could take up to 5 years to complete. To receive permission to actually install tidal turbines, a separate and much more comprehensive land tenure process would have to be initiated. Without public support, it is unlikely such an application would be successful, especially in the new and currently unknown marine energy sector. 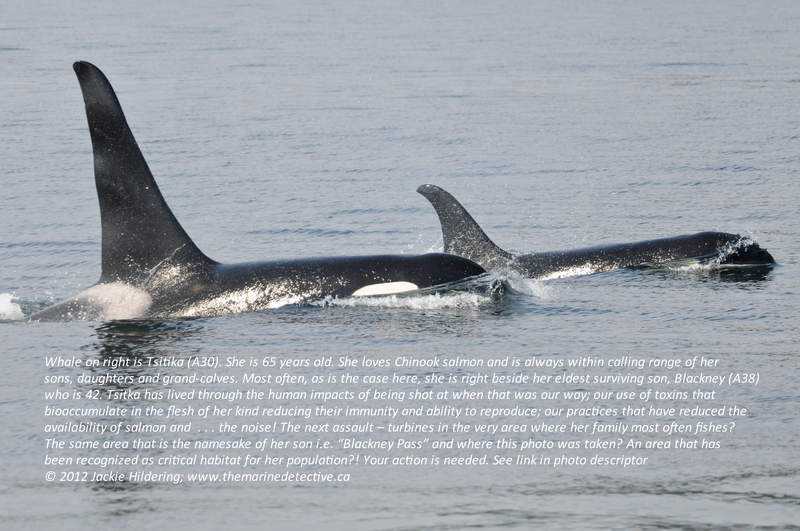 SRM Projects is aware many regions around Vancouver Island are inhabited by Orca and other marine life, but we were unaware of the Critical Habitat status of Blackney Passage when the application was submitted. Thank you Jackie at The Marine Detective for providing us with a very good overview of the Critical Habitat areas as well as the many issues Orca are facing and the population recovery efforts underway. We have been watching developments in the marine (tidal and wave) energy sector since 2005. Currently, the UK is generally agreed to be the world leader in marine energy site assessments (resource, environmental etc), equipment R&D and deployment. In fact, grid connected demonstration turbines have been operating there since 2008 (http://www.marineturbines.com/Seagen-Technology/Environmental-Impact ), and the first multiple turbine array projects are expected to be installed within the next two years. With a significant tidal energy resource at the Bay of Fundy, eastern Canada, and in particular Nova Scotia, is leading our own nation’s progress in this clean energy field. Following a comprehensive Strategic Environmental Assessment process (http://www.offshoreenergyresearch.ca/OEER/StrategicEnvironmentalAssessment/BackgroundreportfortheFundyTidalEnergySEA/tabid/280/Default.aspx ), the FORCE tidal energy device test area (http://fundyforce.ca/ )has evaluated one device already and is preparing to test more devices over the next few years. In BC, we anticipate that a small demonstration tidal energy project (0.5 MW) will be installed at Canoe Pass within the next two years. These activities are all being undertaken in small, cautious steps, and in collaboration with government and academia. To date, the emerging data suggest that interactions between marine life and tidal turbines will be unusual and, provided the turbine is designed to run below a certain threshold speed that any interactions will not result in serious harm (http://mhk.pnnl.gov/wiki/index.php/DOE_MHK_Webinar_Series ). We will collect as much of the recent research information as possible and post a resource link on our website in the next week or so for easy access. Marine Renewables Canada believes there is an opportunity to develop an industry which not only helps to reduce our own dependence on fossil fuels, but also provides jobs and livelihoods while providing clean energy technology to other nations. It is with this in mind that SRM Projects, and others, are investigating tidal energy potential around Vancouver Island. We are hopeful that we can work with stakeholders and proceed, in small and careful steps, towards this vision. However, based on public feedback to date, we recognize that Blackney Passage is clearly not the place to start. At this time, we have committed to engaging First Nations and the general public to share information and understand the issues as best possible. We have also recently been in contact with Leah Robinson, from the Orca Lab, to open a dialogue and look forward to additional objective discussions about tidal energy around Vancouver Island. Thank you all for your feedback and for taking the time to read this and share it with people you know. Please note that the November 20, 2012 community meeting in Port McNeill is currently planned to be held 6:30pm – 7:45pm in the Recreation Center (old school) in room 4. I am about to head off to teach but wanted to be sure to approve your comment as quickly as possible. I will address if further later. Note that Leah Robinson of OrcaLab and I are working together hence you have been approached about this. We are also aware and agree upon the merit of ocean power. We are fully aware that, at this stage of the process, the application is “only” for a licence of occupation, the point being that such an application should not even have been accepted for an areas recognized as whale critical habitat. As will now certainly be clear to you, it will not be tolerated that such a licence be granted. There is also something clearly wrong with a process where the proponent would not have known the designation of such an area as critical habitat when making an application for a license of occupation. I am assuming that with your fully having the knowledge now, you will not be proceeding with the application. That would be wise and the only ethically/morally correct thing to do. Note that I personally will unfortunately not be at the meeting in Port McNeill as I must be at an event for salmon conservation in Vancouver. Thank you Scott for the detailed information provided above. I would like to reiterate Jackie’s mention of the merit of ocean power. For me this is not an exercise in discrediting the potential of such a resource, but to work towards a change in the process of potential development surrounding our natural resources. At which level is the system failing us that an application for investigation of a commercial scale tidal power project is even considered in Critical Habitat for a ‘Threatened’ species under the Species at Risk Act? Is it the responsibility of the proponent and/or is the government making the information accessible? In my estimation a community meeting with First Nations, NGO’s, Gov’t. agencies and local citizens should be the first step prior to the application for investigation for a project of this magnitude. The meeting should also be well publicized and those who work and live locally should be personally notified. This was not the case surrounding this application, but we are all now aware of the upcoming meeting due to our local diligence. It is now our responsibility to show up with a rational and respectful outlook so that we can all work together to find a judicious solution. I plan to be there. In reflection over the events of the past week, I have a couple comments to make on the letter above and the issue as a whole. I caution your organization to re-evaluate its stance on where responsibility lies for the public to contact you. Re: “We also regret that to date no one has elected to call SRM Projects directly to have a dialogue about the proposed investigative activities.” May I point out that we, the public, have followed the protocol as set forth by your organization and applicable government organizations. When SRM Projects Ltd initiated this process by filing for an “Investigative License of Occupation,” SRM set in motion the procedure for public response and input to be sent to 3rd parties, in this case the Integrated Land Management Bureau and Forests, Lands and Natural Resources Operations. If you had requested public input be sent to SRM, perhaps that is what would have happened. The public bears no responsibility in contacting SRM for information pertaining to this issue, nor did you file a notice in the paper asking them to. It would be wise not to project the sentiment of public responsibility any further, for there was an error made, and it wasn’t by area residents or concerned citizens. Perhaps from your location, with your knowledge, our reaction to your action may be perceived as slightly alarmist. However, I can assure you it’s not alarmist, it’s merely an indication of the value of the area in which you have proposed to tread. Or float.. or whatever. I am fairly confident the knowledge gained in this experience will be carried forth by SRM when initiating further projects. If the project investigation for Blackney Pass stops here, it can at best be regarded as a valuable learning experience for your company. In conclusion, the current and forthcoming efforts being made by SRM to inform people of their activities and the science behind this project is appreciated. I would be so bold to say that the demographic you have offended is the same demographic who would be your strongest proponents in the search for clean energy. We look forward to having a discussion with you November 20th at the Old School House, which should be suitable for small numbers. If you are looking for a bigger venue, the Gatehouse Theater in Port McNeill seats up to 100 comfortably with no setup required and has audio/visual capabilities. They can be reached at 250 949-0160. “With regard to Land File Number 1412946, the application for SRM Project Ltd’s “Investigative License of Occupation – Ocean Power” in the Blackney Passage / Johnstone Strait area, I write you to express that this application must not be granted. Though I appreciate that no decision has been made at this point, I suggest that an application that would impact an area so critically sensitive, should be dismissed without further waste of time and energy on the part of governing bodies, other stakeholders such as myself who depend on the area for livelihood, and the general public. Please can you advise me as to the policies in place that would prevent these type of projects coming forward that would contravene the status of an area already protected by the Species at Risk Act. I resent my tax dollars and my time wasted in such a flagrant manner. There are 5 to 6 Tidal Power applications in process in BC and Wash. There is Dodds narrows, south of Naniamo, there is Admiralty Inlet in Pudget sound, there is an approved project in Canoe Pass near Quadra Island and there is an application in Seymour Narrows. Whales, dolphins and fish do not understand human definitions of territory and borders, there is no safe place for Tidal Power on our North American coast. SRM in dropping one application out of 6, is using an old technique used by all resource extraction companies. It is called hedging your bets! Just look at a internet story of Fish Lake on titled, Taseko hedges its bets on November 13th. Orcas roam the entire BC coast. The whole BC coast is critical habitat for many species, including Orcas, humpback whales. We, BC’s coast, are one of the last pools of biodiversity left on this planet. We have whales migrating here because their ocean habitats are decreasing. There is no food left for them in acid dominated seas. SRM will go to the area of least resistance. Resolving this dispute should entail dropping all tidal turbine applications by SRM in BC and banning these applications alright. The Tidal power battle to ban all these deadly machines from our coast has just begun. Everyone wants our marine mammals and salmon to roam freely on our west coast and not be subjected to huge underwater noise and a blade chopping processes. Some environmentalists are being conned by the industry. There might be a tidal power design out there that is less intrusive, but power generating economics dictate a very intrusive blade turbine and underwater type wind mill or turbine design. These are deadly to all kinds of marine life. The tidal power industry knows this. Tidal Power can not operate in BC with killing wildlife plain and simple.